I love the kind of recipes where you can throw everything into one bowl and end up with something delicious. There isn’t as much mess at the end and anything that involves less tidying up is a winner with me! 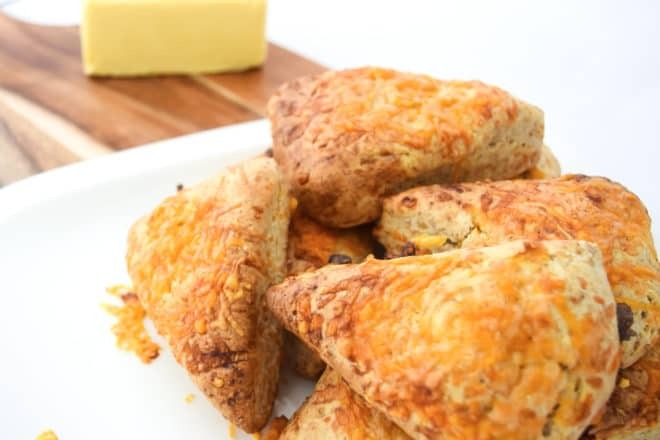 That’s why I just love these easy two cheese scones.